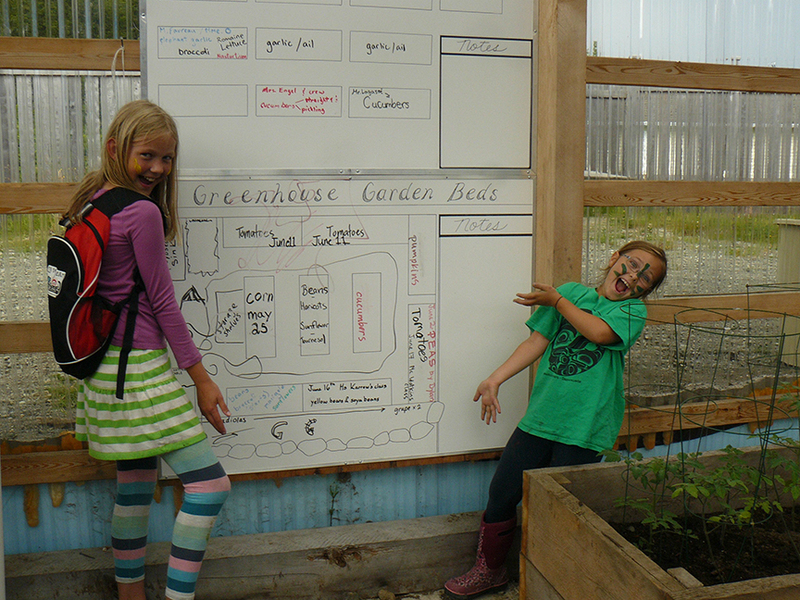 Beyond connecting with local farms and farmers, Haida Gwaii schools are incorporating hunting, gathering, foraging, gardening and greenhouses into their schools’ food supply. This idea emerged naturally in a place where wild foods are so plentiful and the culture of feasting and sharing food is central to the island culture. This remote archipelago along the Northern BC coast has an abundance of salmon, halibut, clams, cod, crabs, deer, herring roe on kelp, octopus, a variety of seaweeds, salmonberries, huckleberries, salal berries, chanterelle mushrooms, spruce tips, elderflowers, sea asparagus and more. The schools are now benefiting from this abundance, learning about food, nature, and culture, as well as incorporating these foods into school meals. In schools where a majority of the students are Haida First Nation, traditional local food is often not readily available. Eating local on Haida Gwaii involves a personal connection to the land and the sea or knowing where and when to get it from growers and harvesters. Eating local therefore requires time and energy that is limited in the modern working and school life. Funding for Farm to School has been instrumental in helping to support programming that connects students to their food sources one farm and field trip at a time. 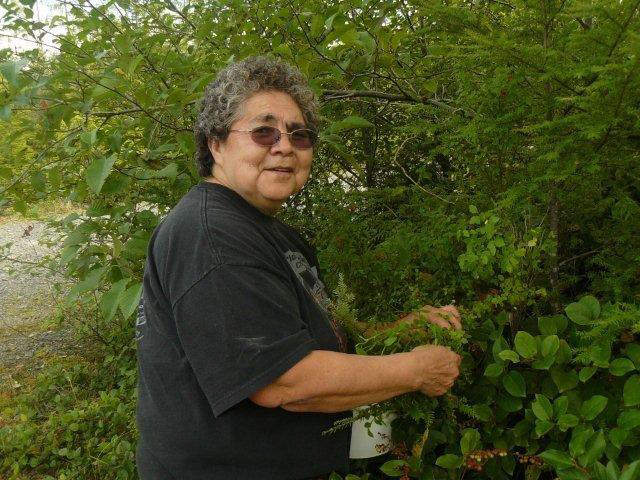 Groundwork for this recent shift towards reconnecting with healthy, local foods and Haida culture was laid in 2010. Local and provincial funding for kitchen renovations, gardens, freezers, meat grinders, vacuum sealers, and greenhouses enabled each community to both produce and preserve foods and to serve up Farm to School salad bars. An extensive evaluation [SC2] was done to assess the impact of that initial funding. Given that each school creates their own model based on relationships, ideas, and a starting point, each excelled in different areas. Surveys and interviews showed that students were eating more fruits and vegetables as a result of Farm to School. In fact, students at one school were eating three times more fruit and vegetables on F2S salad bar days. 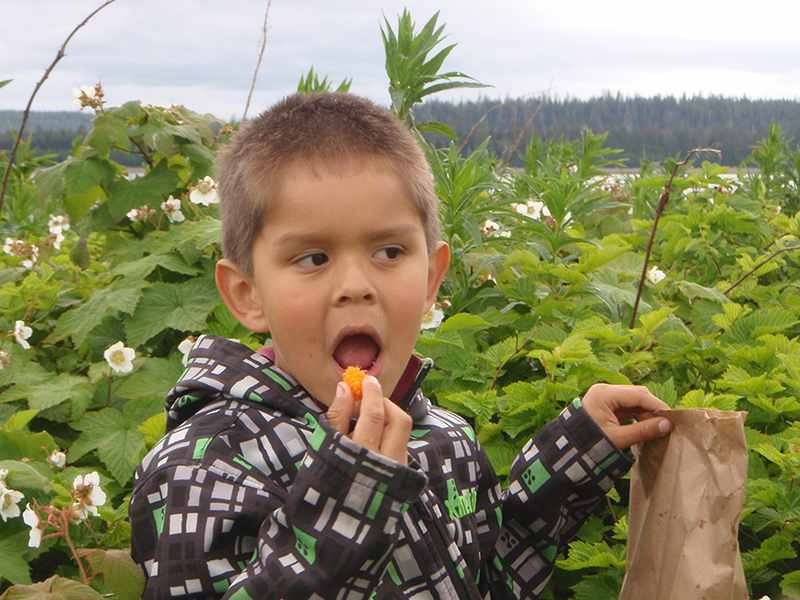 A recent Farm to Cafeteria Canada pilot project known as the Learning Lab, now known as the Learning Circle on Haida Gwaii, has become an important hub for connecting all eight island schools to share plans and barriers as well as local food resources. Haida Gwaii’s momentum to reconnect with culture through food has led to more concerted discussions about a vision and key goals (see sidebar). Champions such as school principals, teachers, farmers, food gatherers, preservation experts, and youth all contributed. Advantageously, this group has now become a valued advisory group that can discuss and tackle bigger food sovereignty issues on the islands as a whole. During a visioning exercise as part of the first Learning Circle, the group agreed that “If money were no object, kids would enjoy local, healthy food in schools five days a week. 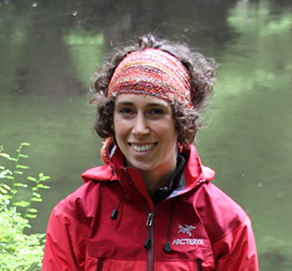 Courses would focus on getting students outside and teaching self-sufficiency through farming, traditional skills and growing food on school grounds.” These concepts and values are the foundation of the Vision and Goals that the Haida Gwaii Learning Circle has co-created and is actively implementing. School staff are now planning menus according to seasonal food availability. Even in the cold month of March, each day featured at least one food grown or harvested on Haida Gwaii. To boost pantry stocks, students and staff are making bulk batches of salsa, tomato sauce, soup stock, and jam. They are also dehydrating mushrooms, blanching and freezing greens and other veggies, and smoking and freezing fish. Preserving foods on a large scale is the only way to ensure a supply of local food year-round in the North. The Learning Circle is therefore spearheading the establishment of Local Food Pantries on the islands to ensure that schools can purchase good quality local food throughout the year. Through local food initiatives in schools, students learn all aspects of the food cycle, from hunting through to feasting. For example, a samosa making workshop at George M Dawson secondary school not only teaches student how to cook exotic tasty foods but helps them to weave together the story of where their food is sourced. As students prepared samosas with the deer meat that other students had hunted, the chanterelle mushrooms they had foraged and preserved, and the kale they had grown in the school garden, they learned what it takes to get local food to the table. Integrating these food related teachings into school programming and changing how foods are sourced requires funding and strong community-school relationships. Recent funding for a Learning Circle coordinator has provided the convening power to build and maintain that momentum. This timely funding successfully built on the previous waves of funding for team building, planning, kitchen and garden equipment, knowledge transfer and exchange, and evaluation. All of these elements were crucial in progressing from ‘food as usual’ to ‘Farm to School’ and now to the more locally relevant and celebrated ‘Local Foods to School’ as it has come to be known on Haida Gwaii.